A trailer of Final Fantasy Versus XIII was shown at today's special event. For the very first time, Noctis' voice can be heard. Apart from several cutscenes, there is also a glimpse of the game's battle system. It seems to be an action/rpg system similar to that of Crisis Core. The available commands seen in the trailer are Magic, Item, Summon and Ex-Arts. It is also possible to board vehicles and use their weaponry. For example in the trailer, Noctis boards a tank and a bipedal mech which he uses to attack enemies in the area. The trailer will be available on Square Enix's official site starting from the 27th of January. Meanwhile you can watch the one below. The US version of Advent Children Complete will be released on the 2nd of June and it will cost $38.96. The movie will include the anime "On the Way to a Smile - Episode: Denzel" which is a story about Denzel's life. There will be no Final Fantasy XIII demo with the US release, but instead there will be a new Final Fantasy XIII trailer. Square Enix has just launched its portal site for the Tokyo Game Show 2011 (http://www.square-enix.co.jp/tgs11/). There you will find the lineup for the event and also some games from other publishers which will also be available in Square Enix's booth. 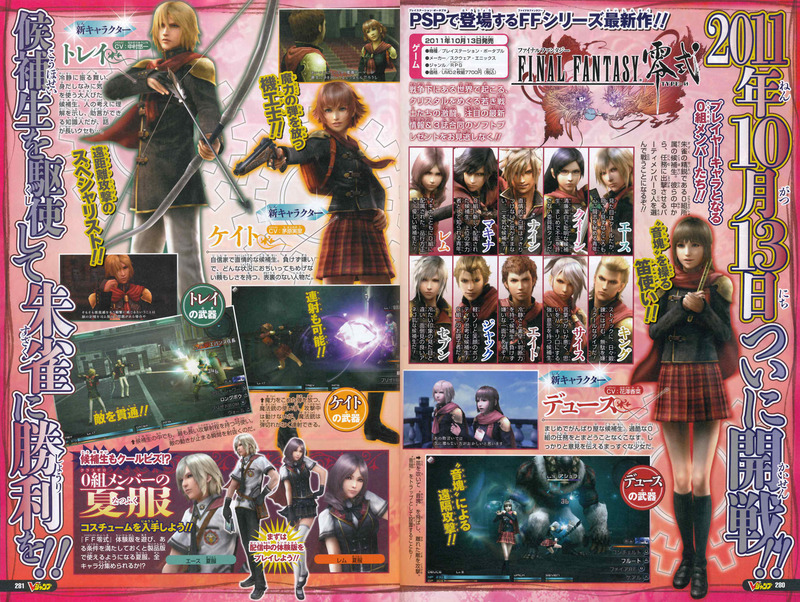 The latest issue of V-Jump which came out today has two pages dedicated to Final Fantasy Type-0. It features two new characters: Trey and Cater. Trey is a skilled archer who is quite mature and wise. People tend to seek him for advice due to his vast knowledge of the happenings around the world. On the other hand, Cater uses a shotgun with magic infused shells. She can't move while firing but has unlimited ammo at her disposal. Cater is quite confident of herself and is full of emotion. Deuce has already been revealed before. She possesses a flute which can afflict different status ailments to enemies. She is a hard worker and is also a bit stubborn at times. Up till now, 14 Class Zero characters have been revealed. Yet, there is no character who represents the card with number ten. Will there be one final Class Zero character and will he be playable? We'll let you know when we find out so stay tuned! 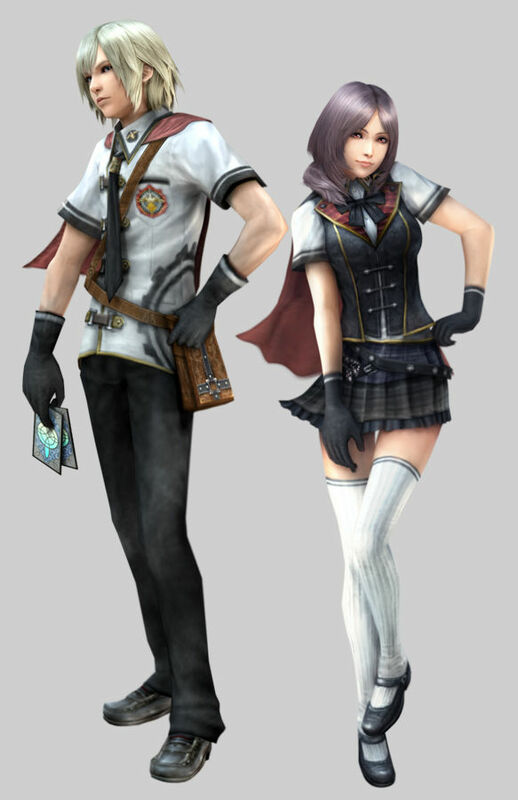 A Final Fantasy Type-0 demo will be available for download on August 11th from the Playstation Store. The demo is identical to the one on display at the Square Enix demo event in Odaiba. This means that there will be four missions and seven characters. Also, by playing the demo, you can unlock special summer clothing in the final version of the game.